How to create your very own BBC micro:bit "Harry Potter Sorting Hat"
In this lesson, students will create a Harry Potter style sorting hat using the BBC micro:bit. The Sorting Hat is an artefact used at Hogwarts in the Harry Potter books. The hat determines which of the four school houses (Gryffindoe, Slytherin, Hufflepuff and Ravenclaw) each new student is assigned to. 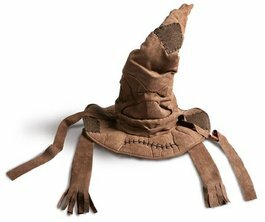 The hat resembles a wide-brimmed wizard's hat, with folds and tears that make it appear to have eyes and a mouth. During the opening banquet at the beginning of each school year, the Hat is placed on every first-year student's head. The Hat announces its choice aloud, and the student joins the selected house. In this lesson, students will create a Harry Potter style sorting hat using their BBC micro:bit. Explain to students that they will be creating their very own 'Harry Potter' style sorting hat that will select a house at random when a button is pressed on their BBC micro:bit. Direct students to the link below and ask students to follow the instructions. Change the names of your houses in your sorting hat - if your school operates a house system, you can use your school houses. Modify your code so that it runs when you shake your micro:bit. Create a random name selector that will randomly pick a student in your class. micro:bit "Sorting Hat" lesson is licensed under a Creative Commons Attribution 4.0 International License.